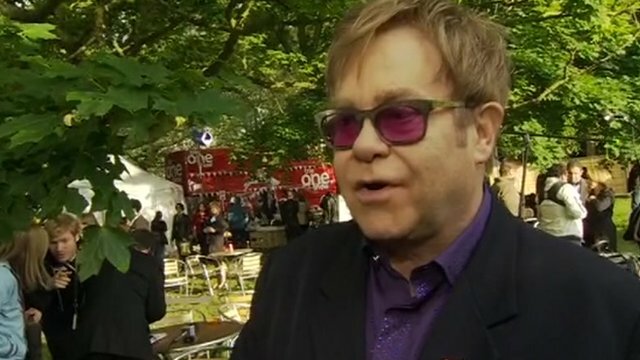 Stars backstage at Jubilee concert Jump to media player Among those taking part Elton John, Sir Paul McCartney, and Madness, who will perform from the roof the palace. 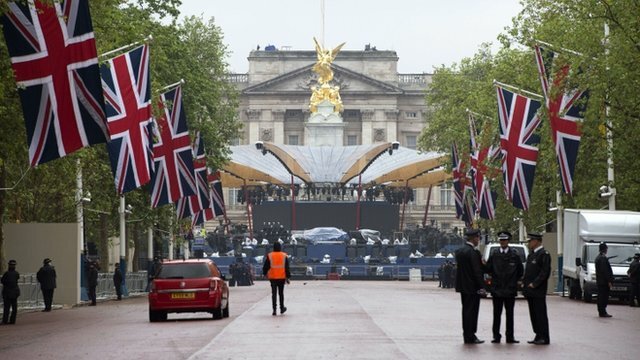 Jubilee concert: Final preparations Jump to media player Final preparations are underway for the Queen's Jubilee concert at Buckingham Palace. Reaction to Prince Philip missing concert Jump to media player The Duke of Edinburgh has been taken to hospital with a bladder infection, to the disappointment to members of the public gathered outside Buckingham Palace for the Diamond Jubilee concert. 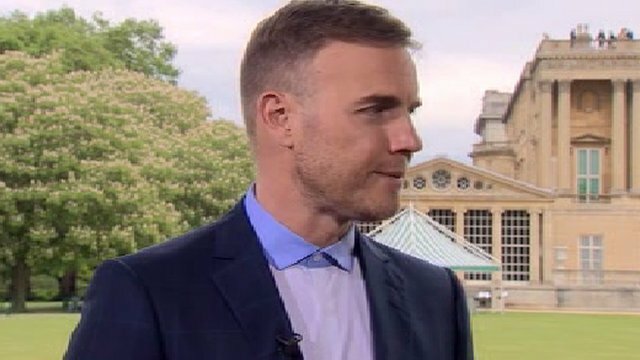 Gary Barlow: 'Surprises' in Jubilee gig Jump to media player Large crowds are arriving for a concert outside Buckingham Palace, which is part of the Diamond Jubilee celebrations. 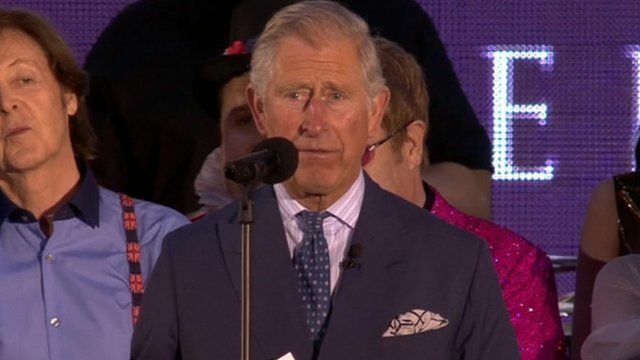 Prince Charles has paid tribute to the Queen following a rousing concert to mark her Diamond Jubilee. 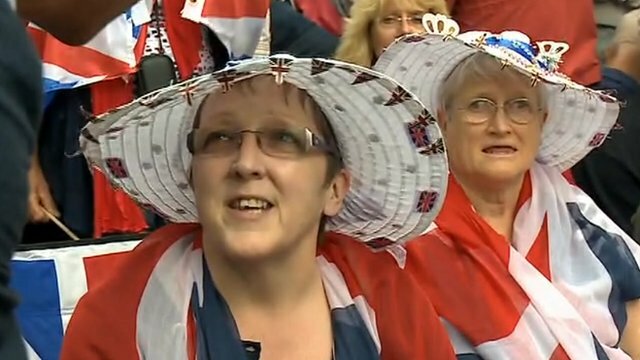 Thousands of people joined the senior royals at the concert outside Buckingham Palace. He said the sad thing about the event was that his father, the Duke of Edinburgh, was unable to attend after being taken ill, after which the crowd could be heard chanting the duke's name. The Prince of Wales thanked the Queen for 'making us proud to be British'.